Today, we will talk about the best hardtail mountain bikes! Although they are in constant “choice-war” with full suspension bikes, hardtail mountain bikes still remain the powerhouse of the mountain bike world. Not only they offer a simpler and more effective way to navigate through rocky terrains, they make up the favorites for budget buyers and don't need to break the bank. Instead of full suspensions which are often heavy, hardtail bikes feature suspension forks which offer greater speed and comfort to riders. This is why they are also preferred for long-ride shenanigans and backpacking. 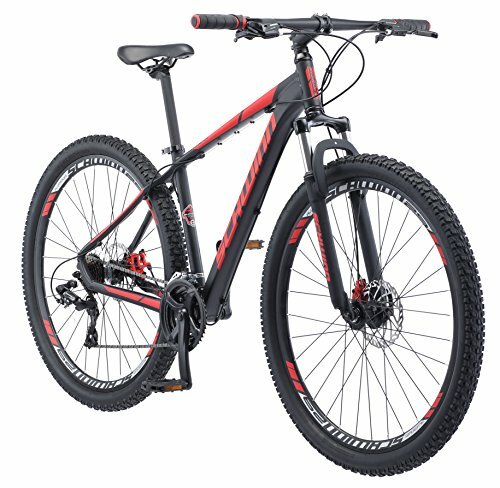 Considering the huge number of hardtail mountain bikes in the market - with more being released every now and then - finding the ultimate ride within your desired price can be a bit overwhelming. This is why, we write this review post of the 10 best hardtail mountain bikes. Is a Hardtail Mountain Bike Right for You? The extent of sophistication that comes with modern bikes makes cycling quite expensive. As such, the high price tag often associated with most top end mountain bikes easily reflects the cutting-edge technologies they are packed with. The introduction of hardtails to the bike world has made it possible for both veteran and inexperienced riders to be able to get a mountain bike for a fair price. Talking of the major difference between hardtail bike and full suspension bike is that they only have one suspension system on front fork. 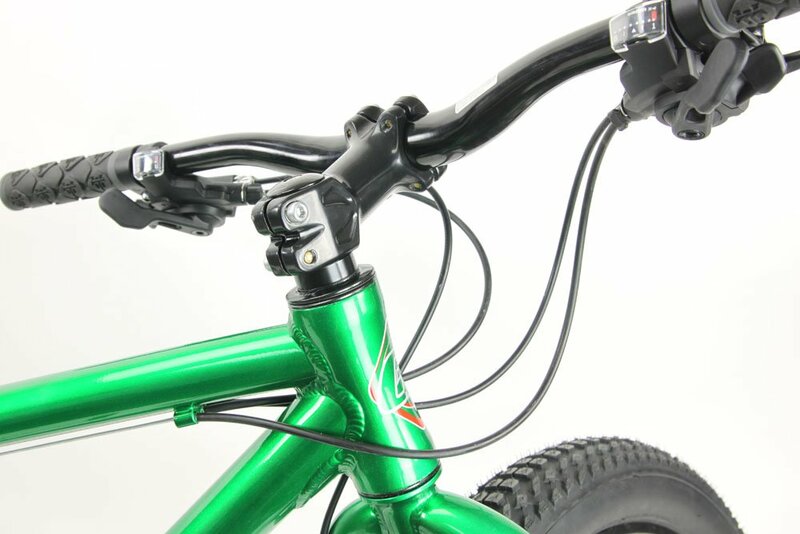 Contrarily, full suspension bikes have suspension both at the front and rear end. That why, hardtail MTB works better for climbing hills because of it is lighter than full suspernsion bike. Thus if your trail has a lot of climbing, this type of bike will be a perfect choice. Hardtail bike not only provide a smooth ride at uphill, it also quicker and easier to handle than full suspension bikes in such conditions. However, this only applies to a terrain that is not too technical. For technical terrains, full suspension bikes are better because they do a better job in absorbing the impact created by the obstacles on rough mountain trails. The tires of these bikes are specially designed to maintain traction in such paths. 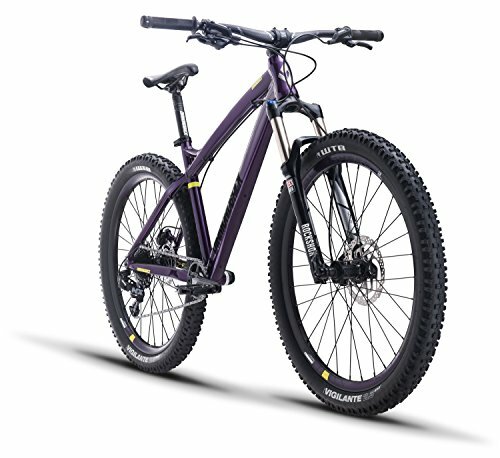 Thus if you plan on doing a lot of aggressive riding, mainly downhill, then a full suspension bike will make an excellent choice. Trust me! Nonetheless, if you are more of a casual rider or you plan on riding on relatively flat trails, then you are better off with a hardtail. Not only are they cheaper than full suspension bikes, but they also require less maintenance since they have fewer parts. Whether you're looking for a pure cross-country climber, a trail-smashing shredder, or fun ripper for romping local tracks, here's our list of the best hardtail mountain bikes in the market that can save you a few hundred bucks. Schwinn is one of the oldest bicycles manufactures in the US with over 120 years of good track record. Although this iconic company has struggled to dominate the market since they last did during most of the 20th century, they have not failed to churn out high-quality bikes of great value. 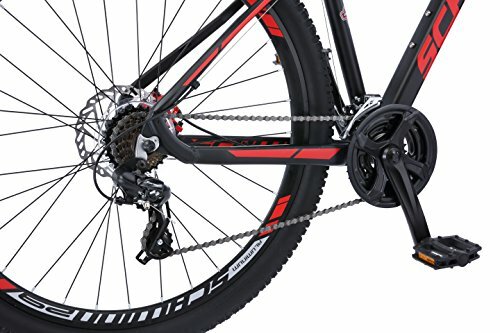 One of the latest mountain bikes that seem to have carried the same standard for which Schwinn is largely known for is the Schwinn Bonafide 29" Wheel Mountain Bike which is arguably the best hardtail mountain bike under 500. Built to romp and rip the trails, this lightweight yet agile bike comes with everything you need for an enjoyable biking experience. Whether you're a cycling enthusiast or you just like to spice up things once in a while, you will find this 29er most rewarding. This bike comes with a lightweight aluminum frame which ensures the durability of the bike and makes it possible for riders to better experience the trail. Besides its aluminum frame, this bike is also equipped with front forks that are made up of carbon fiber. This also helps to lessen the weight of the bike. The powerful suspension forks also help in absorbing the bumps, grooves and stones frequently encountered when riding through mountain tracks. 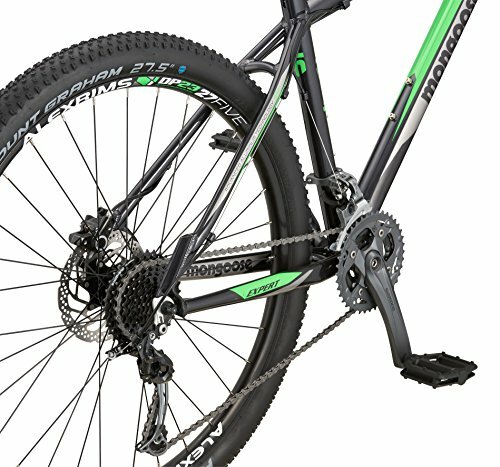 The Schwinn 29er also provides steady shifting and a wide gear range to enable riders to cope with any kind of terrain. This is made possible through the use of Shimano derailleurs at its front and rear end, plus 24-speed capacity Shimano EZ-Fire trigger shifters which make it possible to change gears easily. This way you can climb even steep hills and take up a challenge to overtake those sharp ravines. For a bike to be duly approved for the rugged terrains in the hills, it needs more than just a strong, good-looking frame. It should also feature a well-built wheelset that consists of high profile rims and tires to provide adequate traction. The tires should be strong enough to take bounding from bumps and other obstacles so that the wheels won't easily get damaged. This bike is equipped with a durable 29” wheelset and double-walled rim made of alloy strapped into 2.25-inch wide knobby mountain tires. Although the rims don't weigh much, they are extremely strong and reliable. 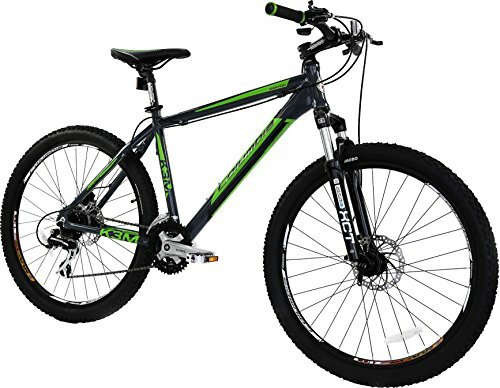 As expected this 29er bike comes with a powerful brake system that is very responsive. This includes mechanical disc brakes at its front and rear. This arrangement helps to make sure that the bike can respond instantly when stopping out on the trail. Get on the trail with ease and enjoy every moment of your cruise on the mountains. Releigh Bikes provides everything you need to start biking on the mountains in this high quality, affordable package. The Raleigh Tokul 2 is designed to take you through the toughest lines in rooty, rocky trails with relative ease - thanks to its Weinmann wheels and Kenda Honey Badger tires. Geometry of the bike is a bit relaxed while the handle is quick and super easy to navigate. This makes it very easy to strengthen your biking skills and advance to more difficult trails. Many riders prefer a hardtail bike that rates high in terms of simplicity without rear suspension. If you are one of such riders, then the Tokul 2 will make a great choice. You will be impressed by its fun layout and stability. The Tokul 2 frame is built with a custom butted aluminum material which provides great strength and stability. This together with the smooth fork in front of the bicycle helps to ensure that riders enjoy adequate comfort even when riding on tough trails. While the Tokul 2 might qualify more as a beginner bike, it comes with a very strong drivetrain - the 1x9 Shimano Alivio model. Thus the bike works pretty well for both downhill and uphill trails as well as low and high speeds alike. 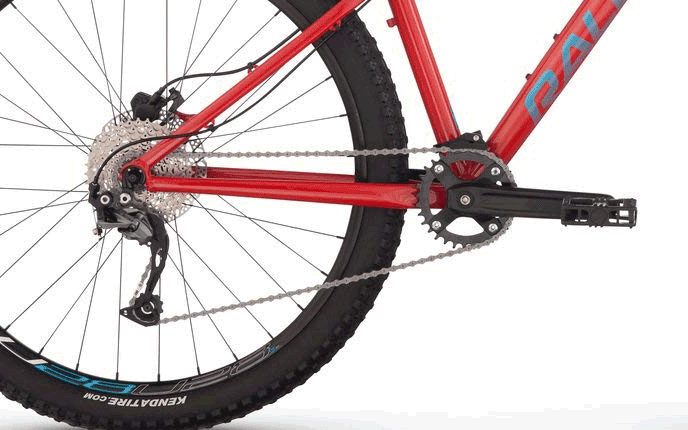 The gears produced by the drivetrain allows for quick movement. 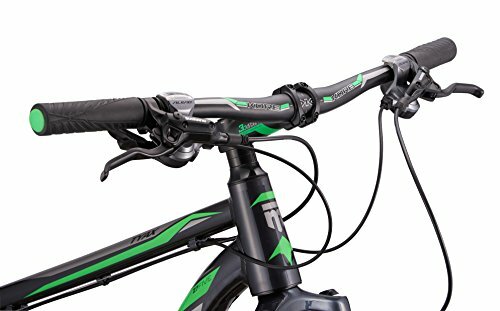 Close to the handle bars is the shifting mechanism which works together with the drivetrain to provide you with the shifting support you need so that you will be able to navigate easily even on tough terrains. The major reason why the Raleigh Tokul 2 does well even on the roughest trails is because of its sturdy rims and tires. And this gives it an edge over some of its counterparts. The wheels consist of 27.5" Weinmann U28 rims manufactured from lightweight alloy components. 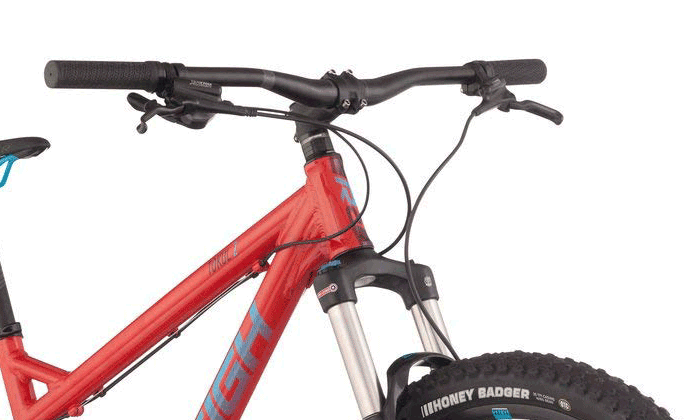 On the other hand, the Kenda Honey Badger 27.5 x 2.2-inch tires roll smoothly on different types of terrains. And this can be attributed to its thickness and strong grip of the tires. Thus the bike works well even in wet conditions. When it comes to road vehicles and locomotives, the primary safety component is the brake. This is why it's very important to look into the type of brake system a mountain bike uses before putting out your money for it. Fortunately, the Tokul 2 Mountain Bike incorporates one of the safest break systems - hydraulic disc brakes. The choice of this type of brake ensures a significant improvement in the stopping power of the bike. The fluid used by the brakes allows for a smooth ride while producing consistent friction which enables the rider to move steadily. This is mostly useful when you're running inclined downhill. If you're looking for an entry bike that will get you moving without breaking your bank account, then the Columbia K3M is a good bet. It is arguably one of the best XC hardtail under 200. This bike is one of the many innovative bikes by America's longest standing bicycle company, Columbia. In spite of its low price, the K3M delivers as promised with no compromise on quality and performance. It performs well both on smooth and unforgiving terrains; a feat you might not expect considering its low price. No matter the single track adventure you want to embark upon, you will find this bike most useful and equal to the task. It comes equipped with a powerful gearing and a brake system that is easy to initiate. There's no doubt this bike will make your time in the saddle so much fun. This bike comes with a reliable aluminum frame which is pretty stiff. This ensures that all the energy you exert upon the pedals is transmitted to move you forward. The frame also enables easy handling which is essential when riding through tight single tracks and sharp turning points on certain XC courses. The Columbia KM3 is equipped with an efficient drivetrain that consists of a Shimano SRAM X4 shifter, derailleur and a crankset that provides you with enough range to go uphill before romping any descent. More so, you also get to enjoy crisp gear changes. Interestingly, the whole drivetrain of this bike is light which is responsible for its reduced overall weight. Its number of speeds alone is 24, which gives you more options on how fast you want to crush any climb. With aggressive off road 26"x2.1" Kenda Tires, you can accomplish much with this bike on any trail. While it may not be the fastest bike around, the amount of traction and convenience it offers is appealing. There's no doubt you'll feel more confident attacking any climb. And for its price, you will agree that there aren't many better offers out there. 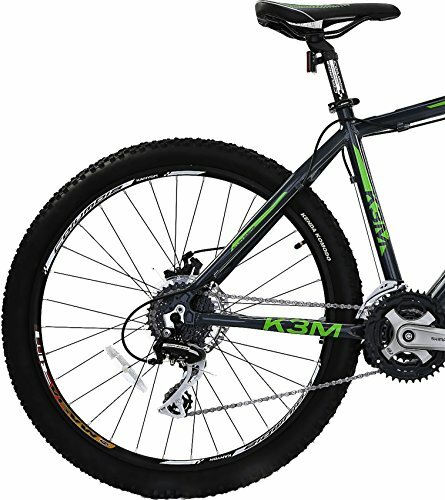 The Columbia KM3 comes with a brake system that is consistent with its performance and affordability. The Tektro Novea mechanic disc brake gives you an ample amount of power when you need to stop smoothly and instantly. This way you don't only feel safe, but also confident to dare the roughest trails. 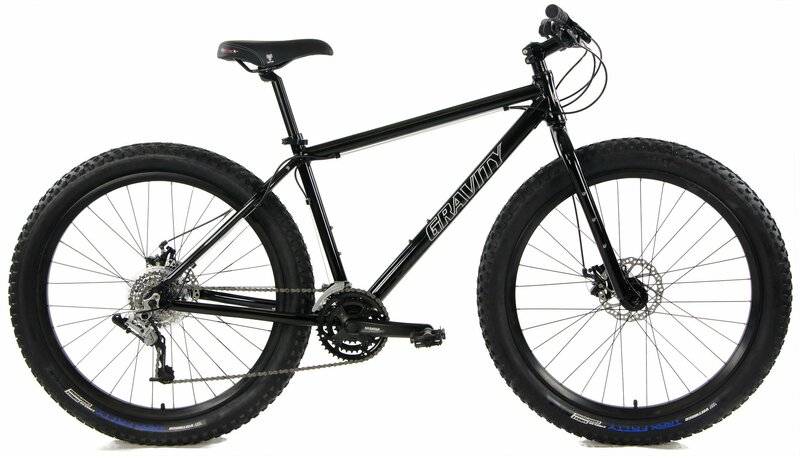 Tires: VEE RUBBER TRAX 27.5 x 3.25"
Biking in the winter is more fun with fat bikes. Sadly, such bikes usually come with expensive price tags. If you’re in the market for a high-end fat bike, then you should expect to spend a few thousand dollars. But if you’re operating on a budget, don’t worry; there are still a few good choices available. For the best budget bike, we highly recommend the Gravity 2018 Bullseye 27 PLUS mountain bike. Popularly known for its incredible lightweight, the Gravity BullsEye is easily one of the most affordable bikes for budget buyers. It comes with a design that makes it suitable for any kind of environment and also enhanced to achieve outstanding speed. The choice of premium quality aluminum helps to guarantee its lightweight and durability. One of the features that significantly influence the performance of any bike is its construction. When constructed with a durable frame, a mountain bike is more likely to survive even in the most unforgiving situations. In addition, the bike hubs consist of black alloy while the chain is also made off KMC Z-410 Steel. The Gravity BullsEye is constructed with a premium material – 6060 aluminum - which ensures the bike can cycle rough and rugged terrains without getting damaged. The inclusion of aluminum frame and a chromoly steel fork are both responsible for the lightweight of the bike. The SRAM X4 2X8 is one of the major features that distinguish the Gravity BullsEye from its little brother, the Gravity DeadEye. This offers a speed up to 24 which gives you enough range for attacking any climb, doing a lot more riding. By improving shifting and gearing while reducing the bike weight, the drivetrain also ensures you enjoy a more comfortable ride. This way, you will find it easier to crunch snow and fly downhill. The size of a tire determines how much contact it will make with the ground; thus a larger tire will have more surface area in contact with the ground. More contact with the ground offers you greater control, especially if you’re riding on a wet or snowy track. This is also important in sandy conditions. Without a wide surface area, the tires of your bike could easily get punched in slowing you down in the process. However, when you have fat tires, you will be able to roll over debris, rocks and other obstacles with ease. With the Gravity BullsEye, you get to enjoy even more traction. This is because it has a 27.5” wheelset which ultimately gives you full control over the terrain. Disc brakes are a popular choice when it comes to Brake Systems. And the major reason for this is because they are very reliable and allow you to celebrate your biking prowess without fear. Luckily, the Gravity BullEyes is finished with Tektro Novela disc brakes which include a rotor mounted to the hub of a wheel. This brake system helps to guarantee your safety by providing a reliable stop when initiated. Obviously one of the most beautiful and lightest hardtails available, the Diamondback line hardtail mountain bike is the perfect entry bike for anyone who wishes to experience trail riding. Built with comfort and durability in mind, this bike offers an enjoyable experience even on the most unforgiving terrains. It comes with an aluminum frame and reasonably sized fork (120mm travel) which may not be quite a lot but definitely enough for beginner tracks. Like many top-end entry bikes, the Diamondback Line delivers as promised. Many riders have reported that they were impressed with the efficiency of the bicycle when they took it out on the trails. The geometry is somewhat aggressive and may be compared to that of a pro bike, which is quite commendable. This bike is also equipped with a nine-speed SRAM drivetrain and a very reliable brake system which guarantees its overall safety. All these and more make the Diamondback Line the ultimate choice for inexperienced riders and obviously one of the best hardtail mountain bikes out there. The type of frame used in making a bicycle plays a great role when it comes to comfort. Choosing the wrong material will not only reduce the riding comfort of the biker but also make it harder to navigate on difficult terrains. More so, aluminum, specifically 6061-T6, helps to improve the appearance of the bike. No wonder the Diamondback Line is commended for its attractive look. 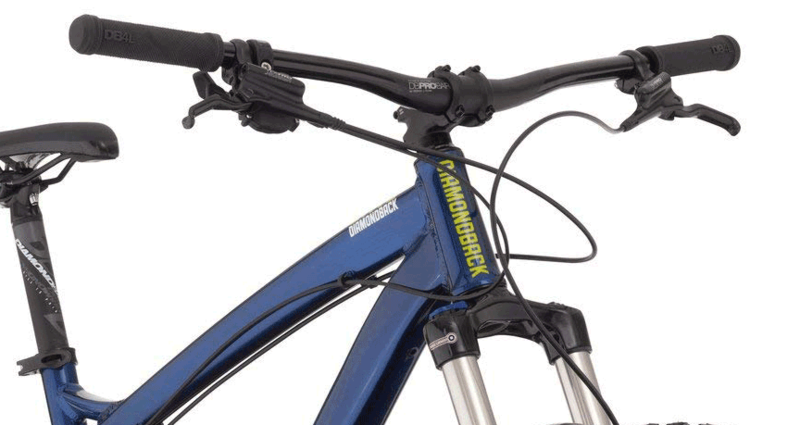 Luckily, the Diamondback Line comes with a low-slung frame made of 6062-T6 aluminum alloy. Besides reducing the weight of the frame, aluminum also promises reliability and good performance. This way, you can rest assured of having a stable ride all through your journey even if you are riding on rocky terrains. Interestingly, this bike is equipped with a 1x9 single ring SRAM drivetrain which seems to be a lot more reliable and powerful than the drivetrains found in some high-end bikes. In spite of this, the bike still comes at a more affordable price under $1000. In other words, you can be rest assured of always being in charge no matter the speed you're operating on. 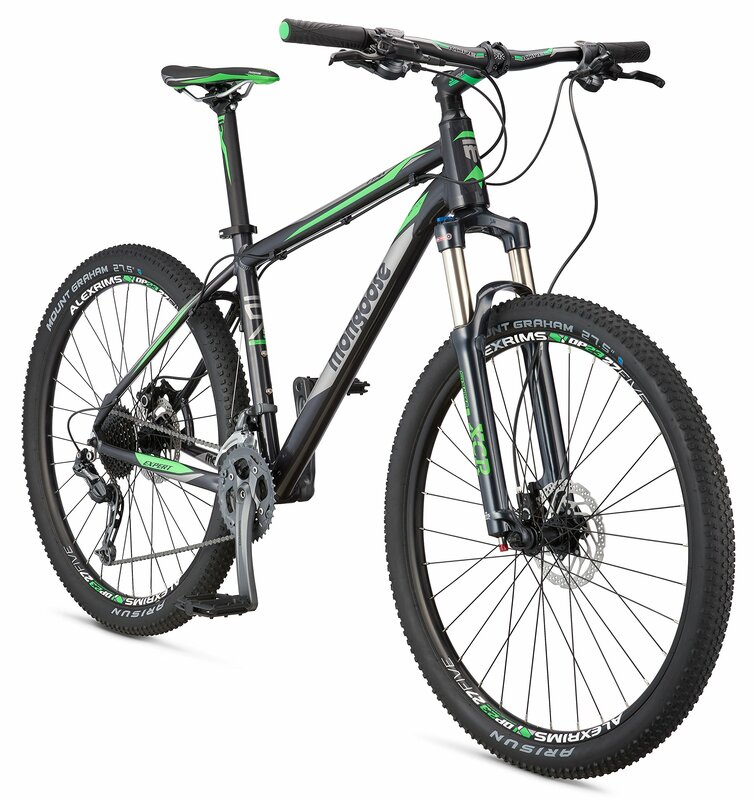 The Diamondback Line is equipped with a wheelset which is not common for mountain bikes in its category. This consists of two powerful and high-quality 27.5-inch wheels which are both nimble and long-lasting as well. Its wheel size is recommended for rough terrains as it doesn't wear off easily. This is why it's a perfect fit for the Diamondback Line. Apart from its strength, the double wheels of this bike enable it to cover long distances which many regular bikes would not be able to cover. To support the promising wheels, there are stainless steel spokes which weigh 14g and SL-7 double wall rims. This arrangement helps to improve the speed capability of the bike significantly. An effective brake system is imperative to every bike, especially when it's meant to travel on rocky trails where sudden braking is mostly to occur due to obstacles. This is why regular bikes are not suitable for the mountains. At the same time, a mountain bike with poor braking might not last after the first day of trail riding. Thus a powerful brake system is essential. The Diamondback line is equipped with the Tektro hydraulic disc brake which provides an instant smooth stopping when initiated. This helps to guarantee the safety of the bike as well as that of the rider. Since it came on the scene in 1974, Mongoose has been largely linked with a lot of innovative products in the bike industry. Although the company started out making cast-magnesium steel, they eventually went on to build whole bicycles, stamping their name on a good number of high-quality mountain bikes and BMX. The Tyax Expert happens to be one of their best products so far. The Mongoose Tyax Expert comes with almost everything required to overcome mountain biking, thereby offering a steady, smooth ride all through your journey. Some of its features include a post mount rear for increased brake power, a tapered head tube for added steering stiffness, and two 27.5-inch wheel for navigating rocky trails. This makes the bike suitable for both beginner and intermediate riders. Concerning quality, this bike is extremely durable and sturdy. And most of this can be attributed to the aluminum material used in constructing its frame. Aluminum has always been known to be reliable, providing great strength and stability. The little flex it produces helps provide more comfort to riders. This bike is equipped with a powerful drivetrain that consists of a unique Shimano Deore M592 and Shimano M4000 derailleur and shifter respectively. This arrangement offers great speed so you can always come out on top when you decide to race with pals or challenger the birds. You will also find it easier to exert full control and accelerate when you're ascending the hills. Whether it's XC racing or single-track, the Tyax Expert offers a comfortable and enjoyable experience - thanks to its 27.5" wheels and double wall rims which also help to reduce the weight of the bike. With the Tyax Expert, cross-country mountain biking is so much easier. You might not find a better substitute for the best XC hardtail bike available. To keep up with its beautiful design and strong frame, the Tyax Expert is equipped with one of the most efficient brake levers in the hardtail genre - Shimano M-365. This brake system helps to ensure you're in check at all times by giving you a smooth stopping when necessary. This helps you to avoid collisions and guarantee your safety so that you can approach any type of terrain with total confidence. Finding the ultimate mountain bike that is off the pricey side can be incredibly overwhelming, if not impossible. 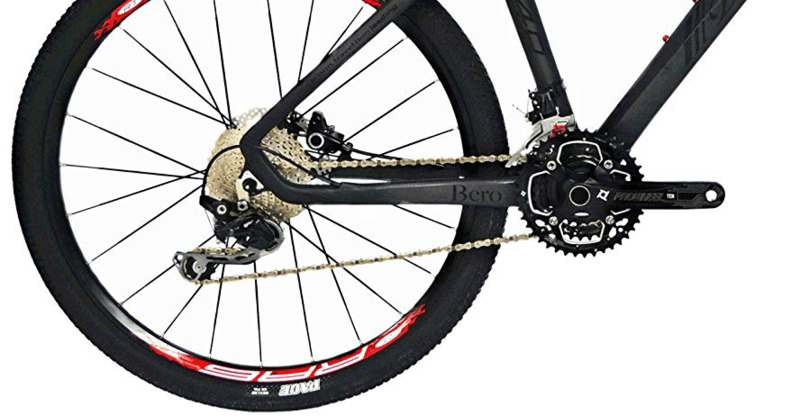 Fortunately, you could get really close with the BEIOU Toray T700 Carbon Fiber Mountain Bike. The choice of carbon fiber for this powerful bike makes it one of the best (if not the best) hardtail mountain bikes available in the market at the moment. Thanks to the material; the Toray T700 is ultra-light and does incredibly well in terms of durability. One would expect to spend more for a bike of this caliber; luckily you don’t have to. With the Toray T700, you’ve finally got one of the best carbon hardtail bikes around to endure even the most unforgiving trails. The frame material of a bike is one of the most important considerations to make when purchasing a bike for mountain riding. Considering its ability also to resist shock, the choice of carbon fiber also makes the Toray T700 a good bet for uneven tracks. As expected, the BEIOU Toray comes with a carbon fiber frame which is responsible for its lightweight and sturdiness. More so, carbon fiber is also known for its durability due to its ability to resist rust and continuous handling. So you can rest assured that this is no bike to be replaced any time soon. Speed control is extremely important, especially when you plan to romp the mountains. A little mistake can be disastrous, and that is why you should only go for a mountain bike that gives you full control over speed. Also included with the speed controller is a sprocket system that further guarantees reliability, safety, and comfort. Expectedly, the BEIOU Toray doesn’t fail in this aspect. In fact, the bike comes with one of the most reliable speed system available – SHIMANO ALTUS 370 Drivetrain – which allows you to accelerate or decelerate anytime easily regardless of the slope you're riding on. The type of wheels a bike uses goes a long way to determine how smooth or fast the bike would be as well as the amount of traction it is able to provide. The BEIOU T700 comes with a 27.5-inch wheelset which makes it suitable for normal mountain trails. This wheelset helps to reduce the weight of the wheels, thereby improving handling and allowing riders to get a better feel of the track. More so, this type of wheel makes the tire a bit more flexible which is quite essential for navigating smoothly on bumpy trails. In addition to frame material, the brake system is another area to look into when choosing a good ride for the mountains. The BEIOU Toray is finished with a dual disc brake which provides riders with reliable stopping in all conditions. It takes a lot of discipline to really construct an off-road cross-country bike that can survive the rough and rugged paths in the mountains. This is why hardtails are extremely useful. 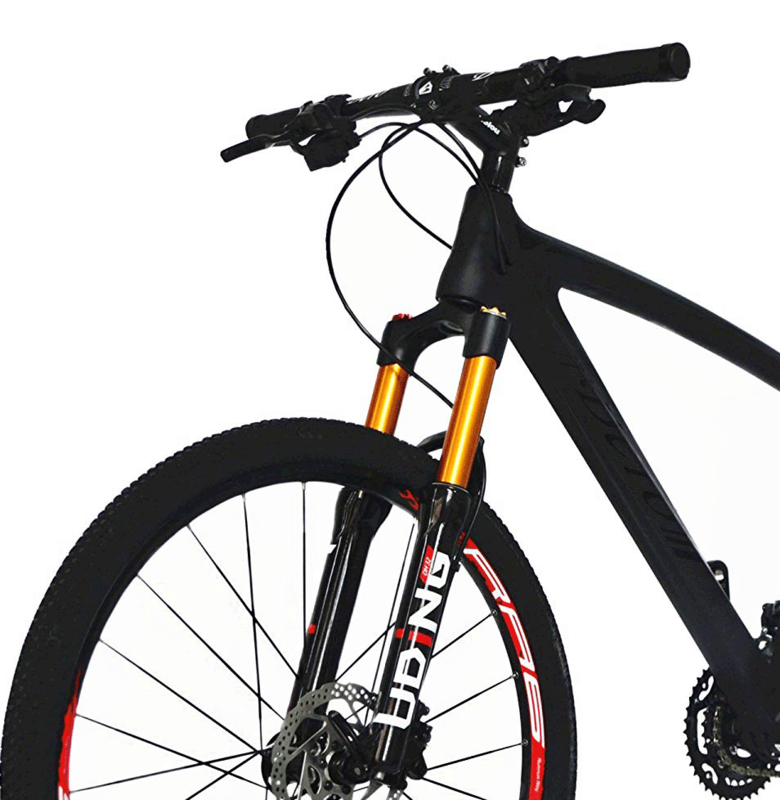 The Eagle Patriot Carbon Fiber Mountain Bike is specially designed to offer a light yet powerful biking experience. 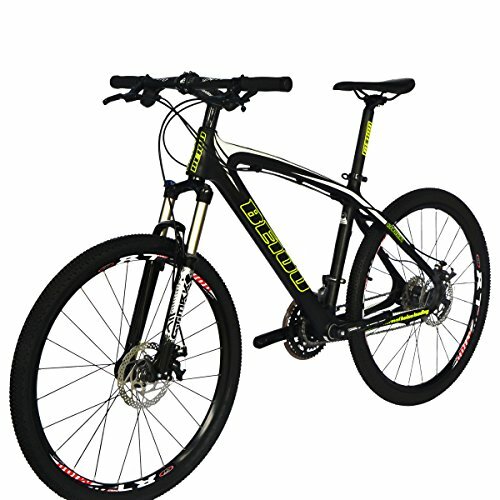 It is agile, convenient and navigates smoothly both uphill and downhill in moderately technical terrain. The bike comes with a carbon frame which makes it durable, ultra-light and resistant to moisture. Interestingly, the product comes pre-assembled from the US. So to start using it just putting on the front wheel and bar and you're ready to start romping your favorite trails. And you can expect to enjoy the top performance in terms of traction, speed, maneuverability, and stability as you would expect from any beast of a bike. All these features combined with its amazing price and money back guarantee makes the Eagle Patriot a great take. You might not find a better substitute. The use of high-quality Japanese carbon fiber in constructing the frame of the Eagle Patriot makes it one of the lightest hardtail mountain bikes on this list. This makes it possible for riders to navigate through technical terrain and courses with great ease. Its frame design consists of bold white accents and sharp white giving the bike an overall sleek and modern finish which is attractive to even experienced bikers. To enjoy even more speed and performance, you can opt for the Eagle Patriot Gold which comes with XC 50 carbon wheels. One of the major features that make the Patriot Eagles stand out from some of the hardtails in the same category is its drivetrain. The bike includes one of the newest drivetrains in mountain bike technology – a 1 X 12 SHIMANO drivetrain. 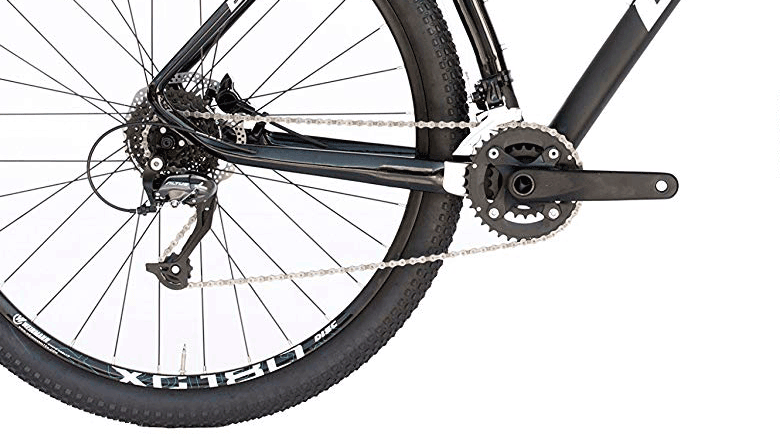 The drivetrain is well known for its ability to greatly enhance shifting and gearing while reducing the overall weight of a bike. 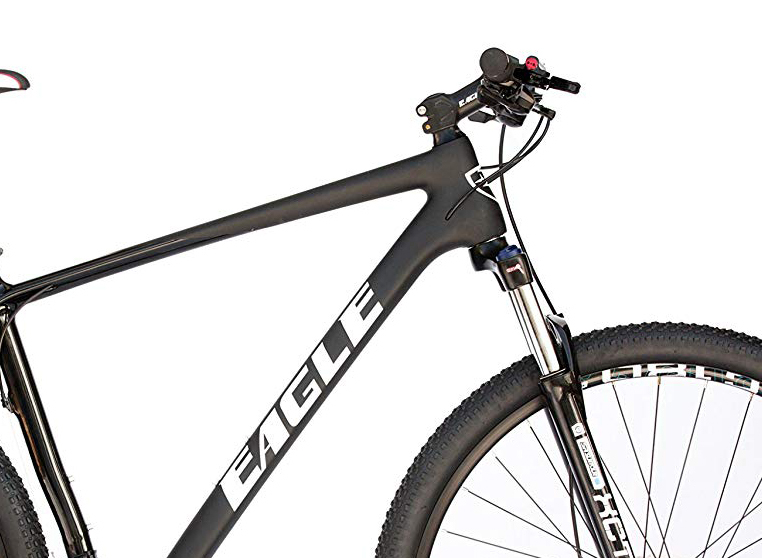 The Eagles Patriot is a 29er – which means it comes with 29-inch tires which has a wider contact area with the ground. More so, these wheels are thicker and more rugged than the 27.5-inch wheels that appear on this list. Thus if you desire more traction and momentum, especially when attacking climbs or making turns, you will feel much better riding on a 29er like the Patriot. You will be able to roll over rocks, debris, and other obstacles more easily. However, you might not be able to experience the same level of agility provided by 27.5-inch tires. Like most of the other items on this list, this bike is equipped with a brake system made up of hydraulic disc brakes which provides instant stopping when applied. However, the quiver associated with its suspension makes is limited in terms of terrain options. But generally, it does pretty well in normal mountain trails. In addition to its hydraulic brake system and SRAM EAGLE XX1 components, the Patriot also ships wholly assembled; which is a great relief for people with little or no DIY skills. All you have to do is fit in the wheels and handlebars, and you are set to romp any trail with your aggressive MTB. Many of us wish cycling wouldn't be so expensive and that is why the search for high-quality affordable bikes is imminent. If you're a dilettante in the biking business and need a bike that can excel on any trail and in any condition, then you should give the Diamondback Sync'r Hardtail Mountain Bike a thought. Since they were introduced into the market, each bike in the Diamondback series has been a major hit. Every biker that has used any of these bicycles has always had something wonderful to say. For some, it was a legend! Unlike other high-end bikes, the Diamondbank Sync'r is not on the expensive side in spite of its low-slung feature, Tektro hydraulic brakes, and 27.5-inch wheels. No doubt, this is definitely one of those high-quality, fun, and affordable bikes every starter is crazy about. The frame is one of the most important features of any bike that distinguishes it from its counterparts. For the Diamondbank sync'r, it's no different. This bicycle is an aluminum hardtail which is 6061-T6 Butted Alloy for its wheel size. It is responsible for its great resistance to bending when subjected to standard padding load. The Diamonback Sync’r also comes with a fork that consists of a Rockshox Recon RL 130mm travel which also helps it to save on weight. A bike that is capable of going anywhere definitely needs a drivetrain that consists of an efficient gear and shifter. A speed enhancer is also needed to spice things up whenever you feel like getting a bit aggressive. This bike comes with the most potent gears and shifters you can expect from an all-terrain beast. This includes an SRAM NX with 11-speed cogset for its rear derailleur and an SRAM NX shifter for quick and accurate shifting anytime. You are also likely going to be taken by the lovely RockShox form with 120mm distance travel. A review of the Diamondback Sync'r would be incomplete without saying anything about its wheels and chain. Like every other top end hardtail, this bike is finished with 27.5” wheels which make it suitable for a good number of mountain trails. We personally recommend it for beginners who wish to romp the hills. 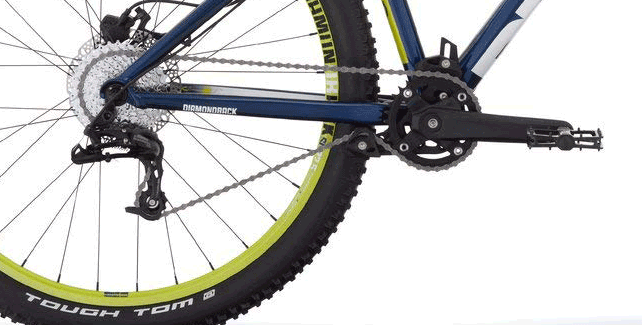 Most bicycle chains consist of alloy steel or plain carbon. However, few are plated with nickel to protect them rust and make them more attractive. 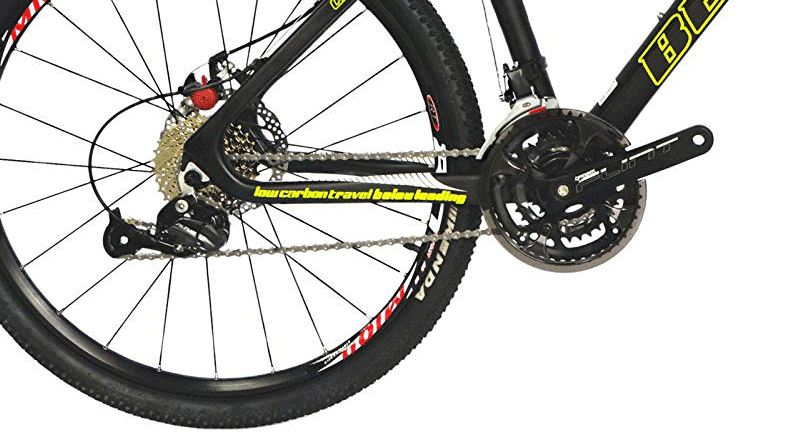 Interestingly, this bicycle also comes with an SRAM PC 1130 high-quality Powerlink chain. When the brake system is poor it’s non-existent, accidents are bound to occur. Thus brakes determine the overall safety of any bike, especially those that are designed for rocky trails. There are basically seven brake types used across different types of bicycles. Like the Tokul 2 Mountain Bike, the Diamondback Sync'r utilizes a disc brake - specifically, the Shimano MT500 hydraulic disc brake which is very powerful. Like other disc brakes, the Shimano MT500 hydraulics makes use of a steel disc and two friction pads which are well-exposed to prevent heat up. The reduced size of the brakes also eliminates common problems associated with disc brakes such as moisture, noise, and weight. 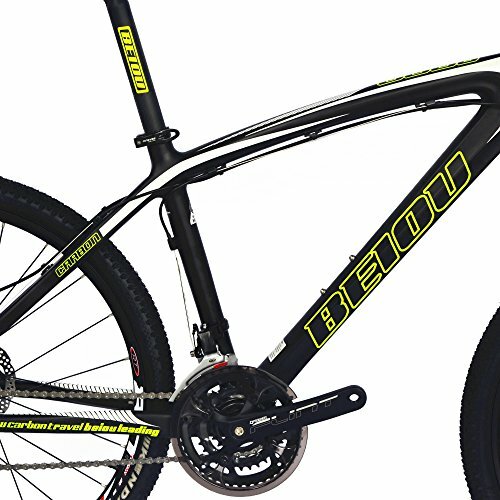 If you are looking for a low weight gem that will fit for the most demanding cycling situation, then you should consider the new BEIOU T800 Carbon Fiber Mountain Bike. In spite of its 10.65kg weight, this professional bike promises you a rewarding adventure on the rocks regardless of your skill level. The fact that the BEIOU T800 offers an abundance of features shared with more expensive bikes is quite intriguing. Though its price is almost two times lesser when compared to its predecessor, the bike still competes favorably with models that cost more. This literally makes it one of the best hardtail 29er less than 1500. Just as its name indicates, this bike is made from carbon fiber, which is responsible for its incredible strength and low weight. Other notable features are its powerful gearing system and brakes which are both Shimano brand. Let’s quickly explore the product in more details. Most riders who used this bike for the first time were surprised at its lightweight. The only explanation for this is the choice of carbon fiber for constructing the frame. As we all know; carbon fiber weighs far less than most metals. Besides its ultra-lightness, carbon fiber also is also resistant to rust and damage. This ensures the bicycle frame doesn't degrade over time due to usage or exposure to the elements; something that is obviously lacking in many bikes. So you can rest assured that you won't need to replace the frame anytime soon. This is one of the features that clearly give BEIOU bikes an edge over many of their competitors. Considering the ever-changing directions in mountain trails along with the uneven terrain, being able to control the speed at any instance in time is tantamount to having a safe and rewarding biking experience. If you want a bike that will give you great control over speed as you travel through the mountain paths, then this MTB is definitely one of a kind. With the SHIMANO DEORE 610 as the speed control system of this 29er, you have the liberty to alter the bike speed whichever way you see fit. You can accelerate to top speed or decelerate to “camel” speed choosing from the range of speeds available to you. Nothing is going to prepare you for the rush of adrenaline that will run through your veins if you’ve never been up there before. When it comes to mountain biking, 29 wheelers are well known to provide more traction which is very important if the trail you plan on riding on is pretty rough. Luckily the BEIOU T800 is equipped with this wheelset, which makes it more than enough for uneven terrains. 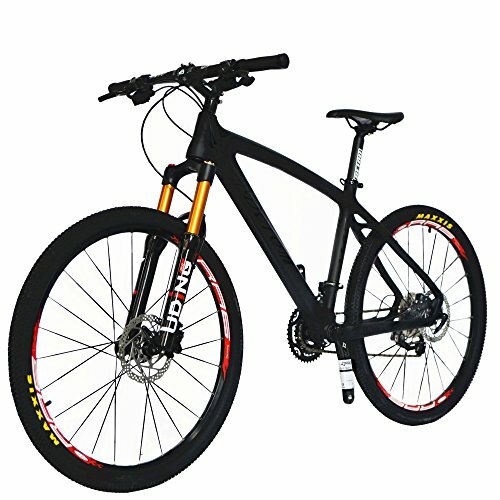 In addition, the T800 carbon fiber mountain bike also comes with an Aluminum alloy rim which is light and thus adds to the flexibility of the tires. This way, the wheels can allow more suspension which in turn improves handling and give riders a better feel of the track. It would be a considerable risk to ride on any mountain bike with a bad brake system. Not only do you expose yourself to danger but also the bike can easily get damaged. It is desirable for every 29er to provide instant halting when the brake is applied. The BEIOU T800 comes with a highly reliable brake system that guarantees your safety, especially when navigating sloppy terrains. This system consists of the 3*10 Speed, Hidden Disc Brake which can provide an immediate smooth stop, even when you are riding down a hill. When all mountain bikes had the same type of wheels (26-inch), even a novice could pick out a good bike on his first day. It was only a matter of choosing between a suspension bike and one that was fully rigid. However, these days, mountain bikes come in different makes, shapes, wheel sizes, suspensions and gear systems, making it a difficult task to choose which one is best for you. Whether it’s your first time of getting a mountain bike or you simply want to upgrade to a new ride, we’ve prepared a guide to make things a whole lot easier for you. 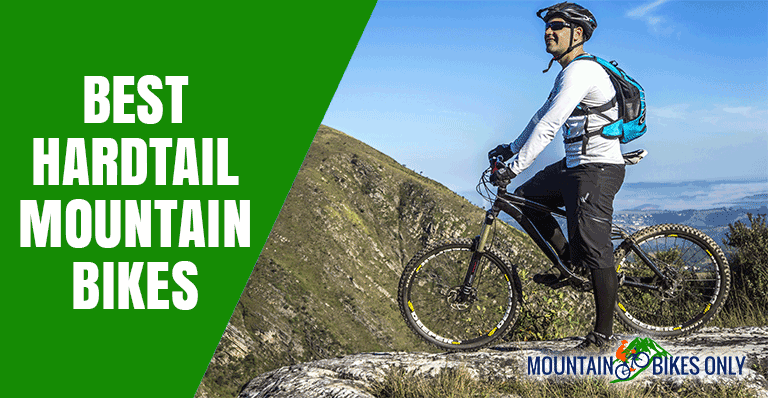 Without wasting any more time, below are the key things to check when looking for the best hardtail mountain bikes. Before purchasing any item, either from an online store or a physical store, it’s usually a good idea to decide your budget so you can get the best product for the price. 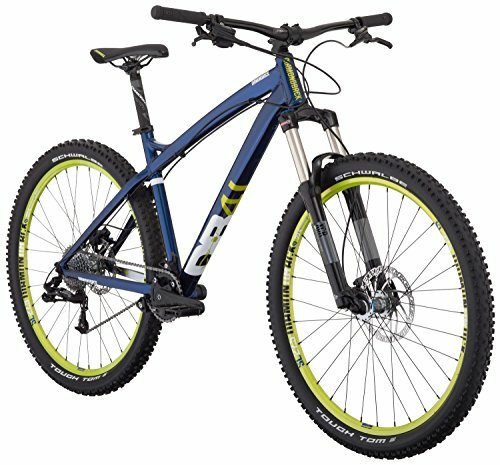 Some mountain bikes cost as low as $200 while some cost as high as $3000 or more! It all depends on how much you want to spend. However, at the same time, being pricey is not an ultimate stamp of quality. But going too cheap is also not advisable. If you are the type that only goes out for an occasional weekend ride, then a basic hardtail mountain bike should be good enough. Such bikes may also do well for easy cross-country trails. However, for regular use, we recommend hardtail bikes that cost between $500 and $1500. Such bikes come with the major components you need to comfortably navigate on various kinds of terrains. 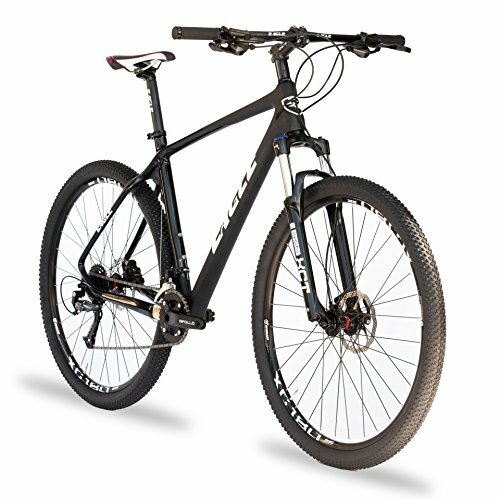 Hardtail bikes that cost beyond $1500 are more suitable for competitions. They usually come with the best component packages. The frame sizing of a bike is crucial, whether it's meant for the road or mountain. Considering the technical descents associated with hardtail bikes, it's extremely important you get a bike that performs well in terms of strength, ride quality, and weight. Interestingly, sizing has a huge bearing on all these requirements. Even if you have a particular size in mind, make sure it’s something that can serve well for the type of trail you’re going to be riding on. For a more technical track, choosing a frame size that allows easy maneuverability is essential. Here a small sized frame will be most preferred. However, if you are focused on cross-country riding, then you should consider opting for a larger frame, as it gives you more freedom to stretch out. The material used in constructing a bicycle frame is vital because it can have a powerful impact on the price and performance of the bike. The most common frame materials for hardtail mountain bikes are carbon fiber, aluminum, and steel. All these materials are great, but each one of them also has its downsides. Carbon fiber is probably the lightest and stiffest among the three materials, but it's also the most expensive. However, even though it's the most durable frame material, it's not eco-friendly and actually ages faster than steel and aluminum. And given its high stiffness, it is more likely to crack against the rocks. This is because high stiffness translates to reduced bump absorption which can be very uncomfortable. Though aluminum is not as strong as carbon fiber, it is less expensive and more durable than the latter. It is also able to stand up well against the rocks. However, since it's less stiff than carbon fiber, it often produces minor amounts of frame flex. But then, the little looseness also affords you some relief from the harsh feel of a hardtail thereby offering you a more comfortable ride. Steel is probably the least expensive frame material used for mountain bikes and also the least stiff option. Though heavier than aluminum and carbon fiber, it offers incredible comfort due to its increased flex. There are basically three wheel sizes for mountain bikes - 26-inch, 27.5-inch, and 29-inch (or more commonly, the 29er). Initially, all bikes come with 26-inch wheels until the 29-inch wheels arrived on the scene in the early period of the last millennium. Wheels with bigger sizes tend to roll on obstacles more readily than those that are not. However, such wheels are usually slower, especially in flexy and corners. The 27.5-inch and 29-inch are the most probably the most preferable choices for XC and enduro racing. 29er is also very popular in the downhill. The gap between the 29-inch and 27.5-inch is very slim, and both actually do well when used in the same conditions. Whichever one you eventually decide to go for should depend on what you intend to accomplish in your journey. Tall or more aggressive riders are more likely to find the 29ers most useful. 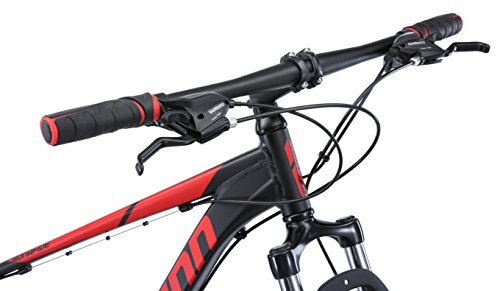 Another critical area to look into when looking for the best mountain bike is the suspension fork. 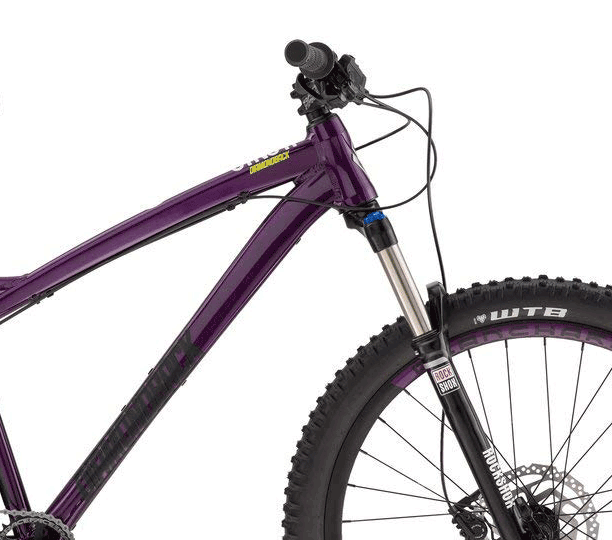 Hardtails usually come with suspension forks whose travels are between 100mm and 140mm. The amount of travel designated to a bike has everything to do with the extent of hits it's expected to handle. Bikes that absorb more significant hits are usually regarded as being more aggressive than XC and as such come with travel above 120mm. However, XC bikes are equipped with either 100 mm or 120mm suspension fork. Anything beyond 140mm is likely full suspension because once 120mm is exceeded some level of independence will begin to set in between the front and rear end of the hardtail. However, it's also important to note that even though longer travel forks handle bumps better, they might not allow you to feel the trail enough so you can know how to move. Thus, in reality, shorter travel forks are more desirable due. What is a hardtail mountain bike and how does it compare with full suspension? Hardtail is one of the two types of bike specifically designed for mountain trails; the other being full suspension bike. 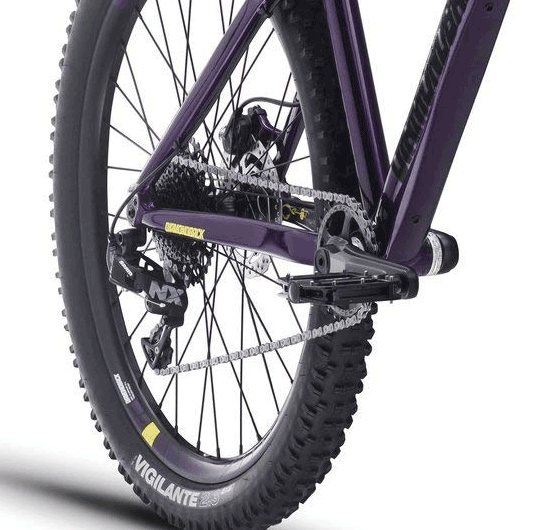 A hardtail only features a suspension on the front and none on the rear while a full suspension mountain bike has suspension on both front and rear. 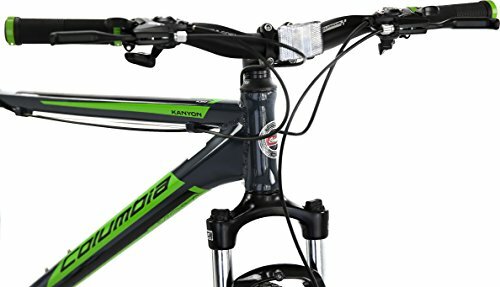 Is it better for a bike to have more suspension? There's really no straightforward answer to this; it's a matter of individual preference. While full suspension bikes provide more comfort and ease on technical terrains, they are heavier and so might not be so easy to ride uphill. However, hardtails are lighter and give you a better feel of the trail. They are easier to ride uphill. 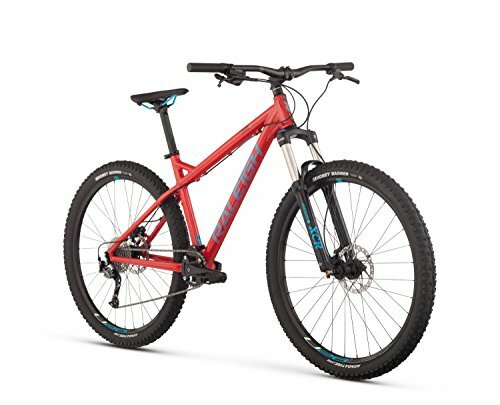 Is a hardtail suitable for riding fast on a technical trail? Definitely! Although they might not be as fast as full suspension, hardtail bikes also offer great speed on technical trails. More so, the absence of rear suspension allows you to adopt better techniques as a rider. There you have it - the best hardtail mountain bikes for 2018. These bikes are without a doubt the best hardtail performers even for the most challenging tracks. They feature some of the most advanced technology around and offer real-time satisfaction to riders. Even veteran riders would find their simple design and low maintenance most appealing! Overall, any one of these hardtails would make a great investment. You would find each one of them an excellent match for meeting your cycling needs.